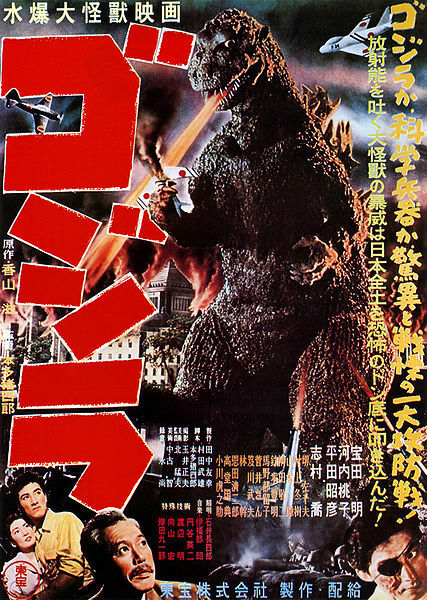 Description: Godzilla first rose from the abyss in 1954, and promptly began laying waste to Tokyo with his atomic ray and deadly radioactivity. He was, at most, annoyed by the Japanese Defense Forces deployed against him, and was only defeated with the use of a terrible new super weapon, the oxygen destroyer, enemy of all life. 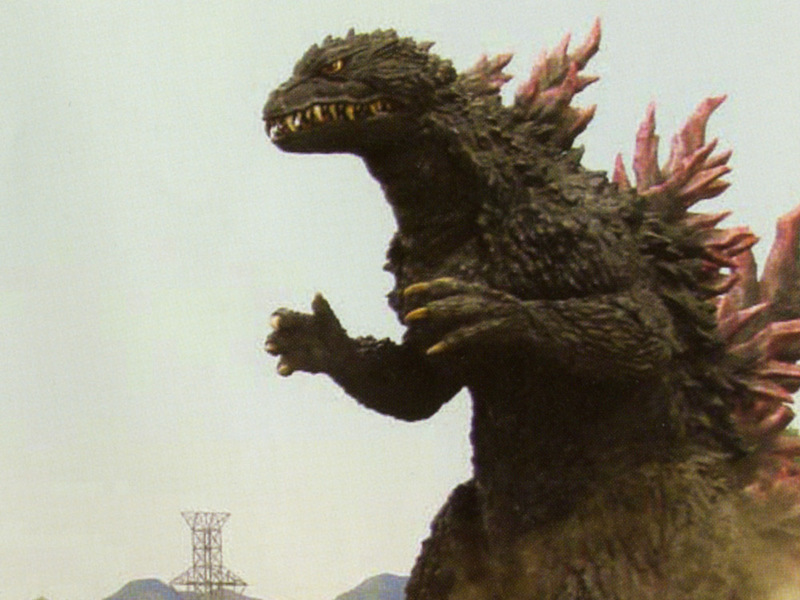 Description: A second Godzilla rose out of the sea the following year to battle with the ferocious Anguirus. 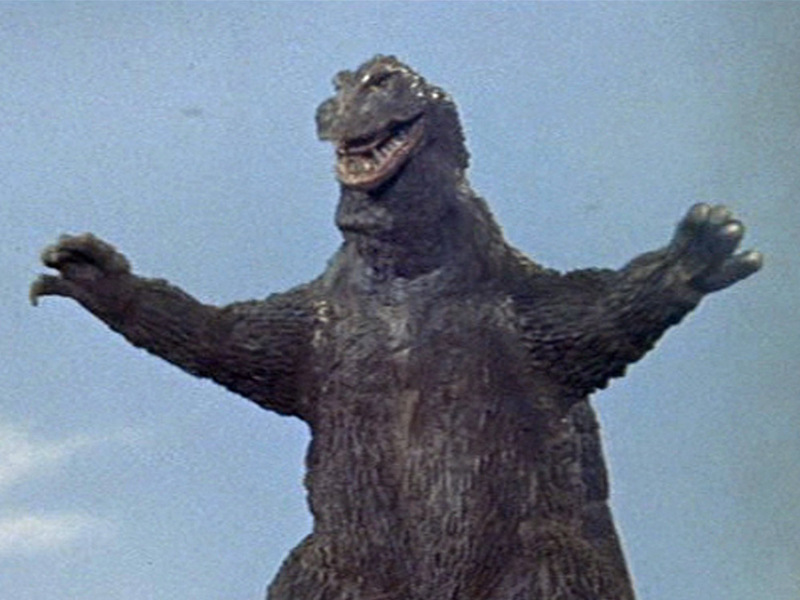 Godzilla won the fight handily and celebrated by stomping on Osaka (Japan). 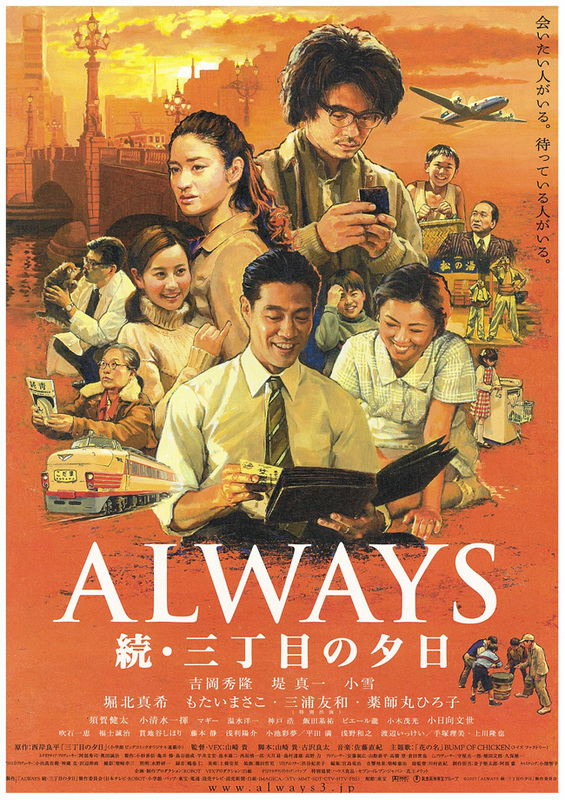 Later, he retired to a glacier to get some rest, only to be buried alive by an avalanche of ice caused by the Japanese Defense Force's missiles. 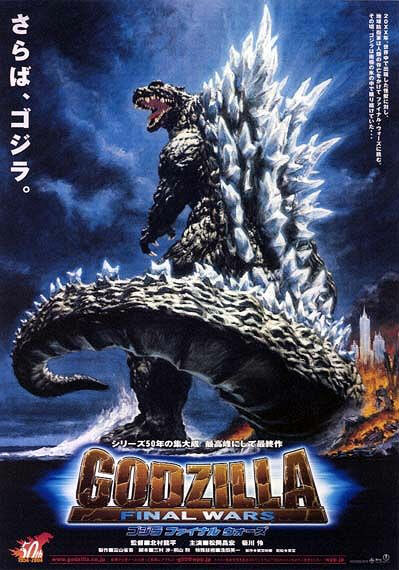 Description: Godzilla was freed from the iceberg after seven years of entombment and immediately retaliated against the Japanese. With a million volts of electricity, the humans were able to dissuade his attacking of Tokyo proper, but it took the indomitable King Kong to drive him off the coast and back into the sea. 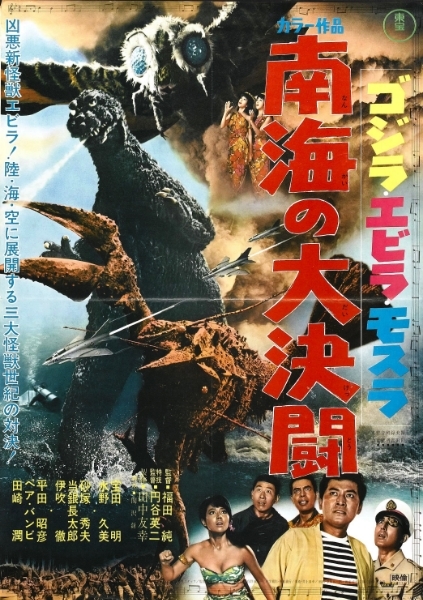 Description: Two years pass before Godzilla comes again, trailing a typhoon. 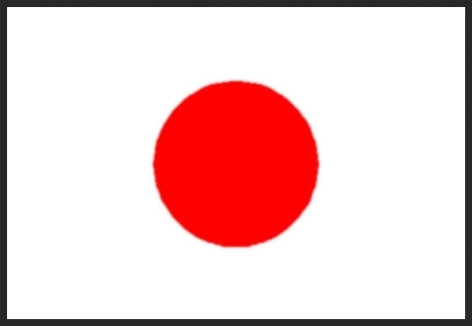 The Japanese convince beneficent Mothra to save them. She bravely tries her best, but is stopped cold by the nuclear giant's blue atomic ray. However, her two children succeed where she failed; the larval Mothras use their web spray to subdue Godzilla and throw him back into the depths whence he came. Description: Back in the day, Godzilla and Rodan were engaged in some friendly fisticuffs as King Ghidorah attacked the Earth with glee. 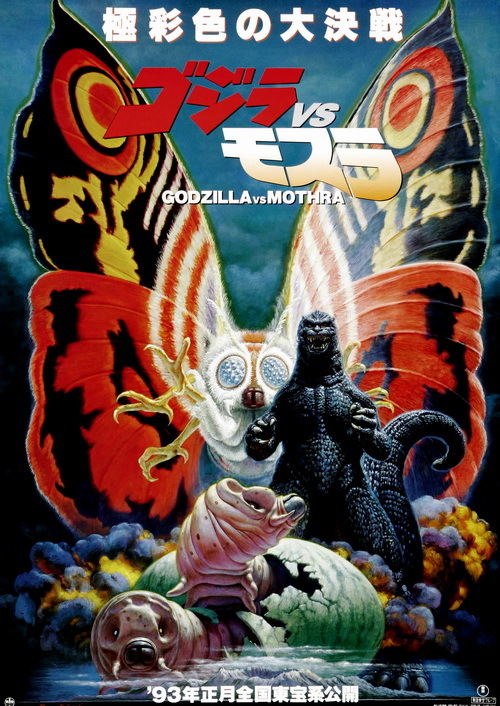 Mothra (in her larval form) begged the kaiju to aid her in defending the planet from the Alien Hydra, but they refused and continued their sport. 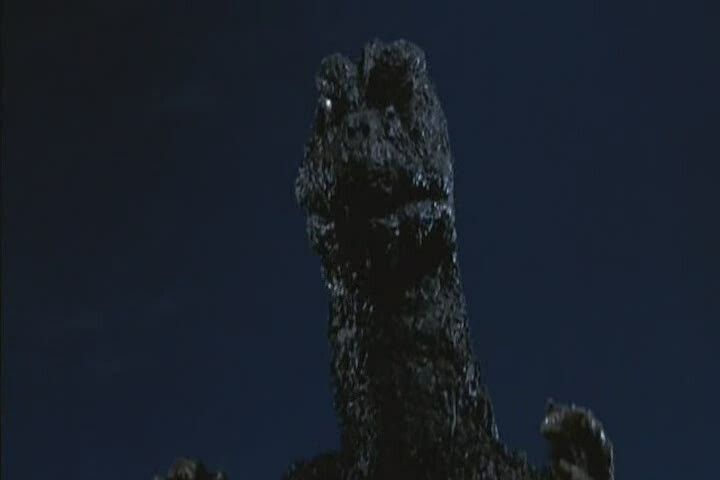 Mothra then bravely fought King Ghidorah all by herself and took a severe thrashing. Godzilla and Rodan finally relented and came to her rescue, and together they beat the scales off of the golden alien and sent him back into space with his tails between his legs. 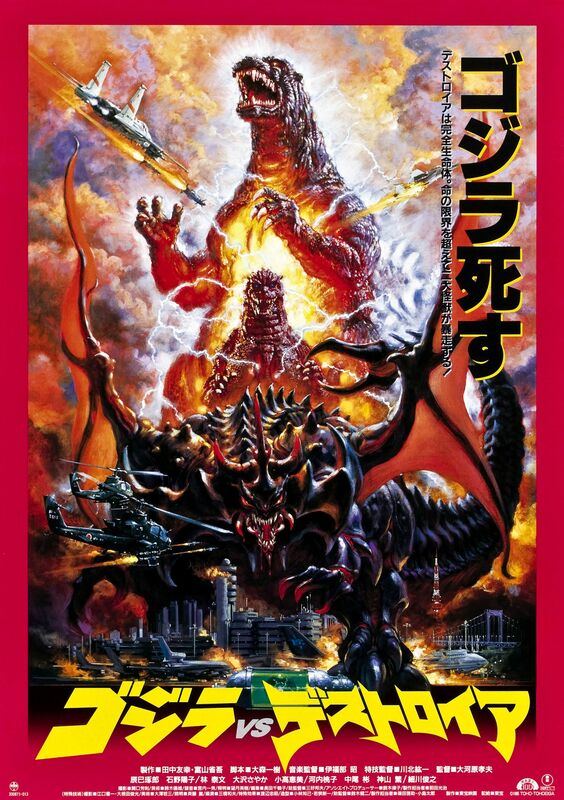 Description: It's a year later, and the Xian aliens use their monster control device to force Godzilla and Rodan to attack the Earth along with King Ghidorah. 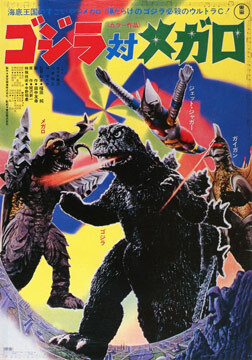 The device is destroyed, and the three kaiju battle it out under the sea! Only King Ghidorah rose from the ocean afterwards; it is assumed that he subdued the other two monsters and, freed of alien control, simply returned home. 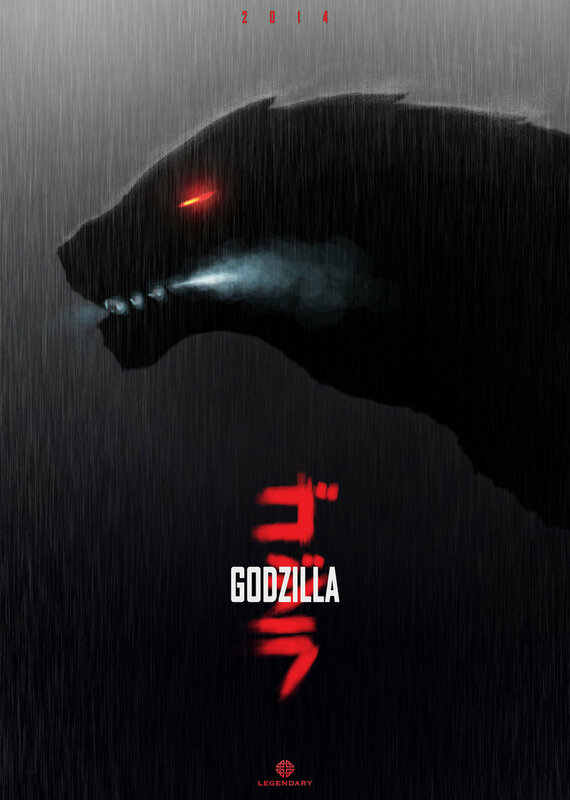 Description: A year has passed and Godzilla, trying to catch some much-needed sleep in a cave, was rudely awakened by pesky humans with a lightning rod. 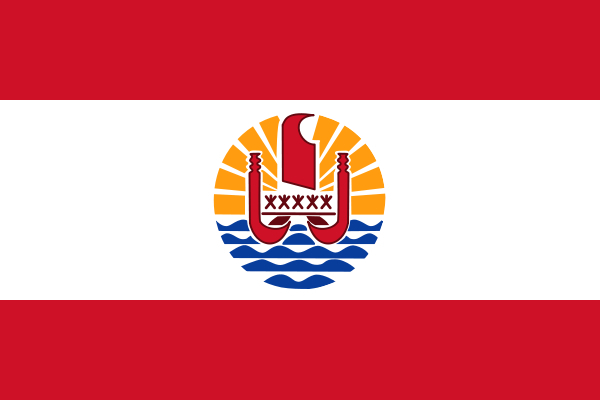 He did what he does best: destroying everything on the island. He was challenged by Ebirah, so he ripped her claws off and sent her packing. He was then challenged by Ookondru, so he blasted her into a smoking wreck with his atomic ray. 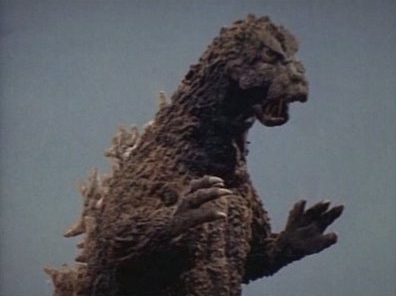 He then challenged Mothra, but she politely declined and rescued humans instead. Silly Mothra! 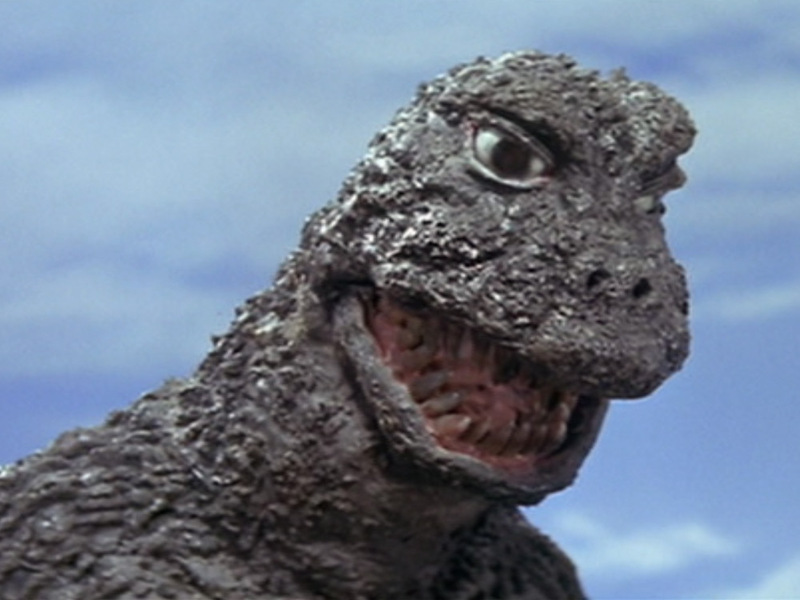 Description: Somewhere in the Pacific, an enormous egg hatches, and Minilla is born! Godzilla responds to his telepathic cries for help, rescuing the baby from three ravenous Kamacuras. 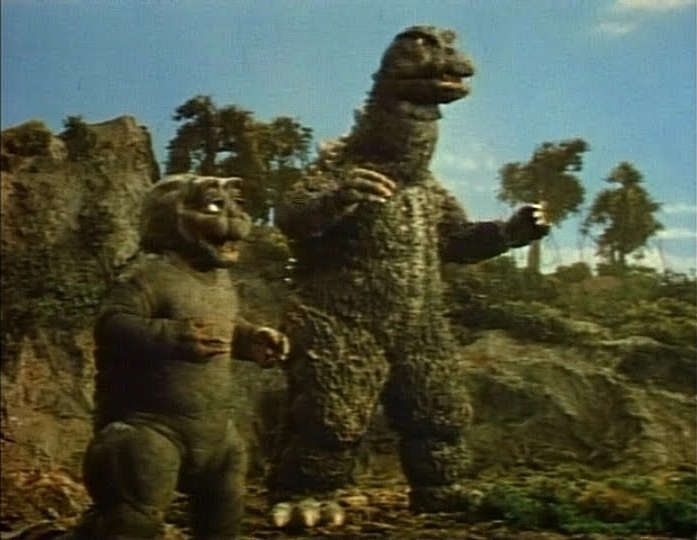 Later, both Minilla and Godzilla join forces to destroy Kumonga before going into hibernation together in the falling snow, no longer alone in the world. 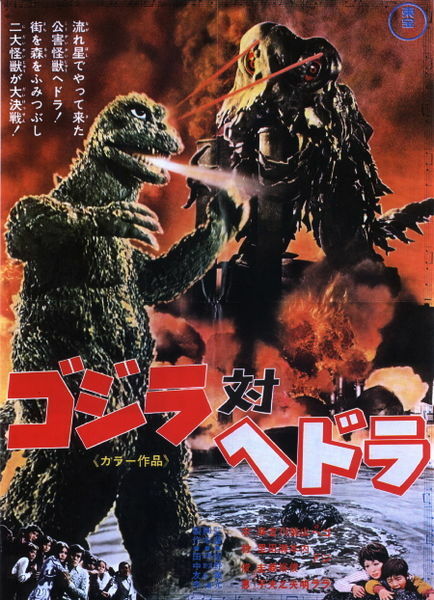 Description: Godzilla is controlled by an alien race, the Kilaaks, along with Minilla, Mothra, Rodan, Gorosaurus, Anguirus, Kumonga, Manda, Baragon and Varan, in a bid to force the Earth to surrender. The humans manage to destroy the lunar control base, releasing the monsters from Kilaak control. 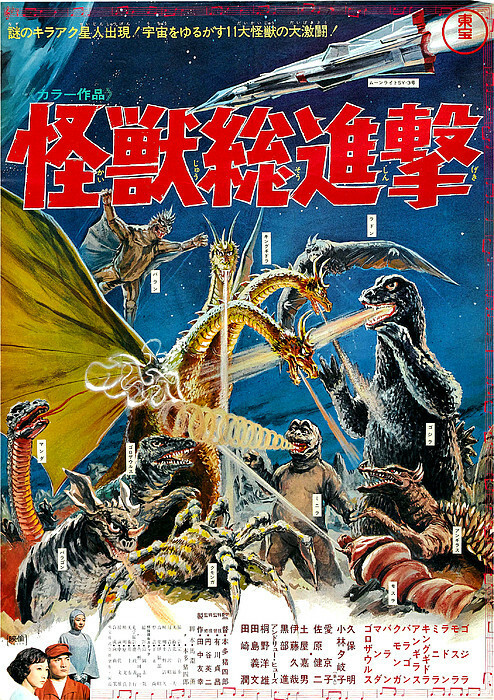 The aliens then unleashed their most powerful kaiju, King Ghidorah, but the fearless Space Hydra is defeated by the combined might of the other monsters, and the planet is saved again! 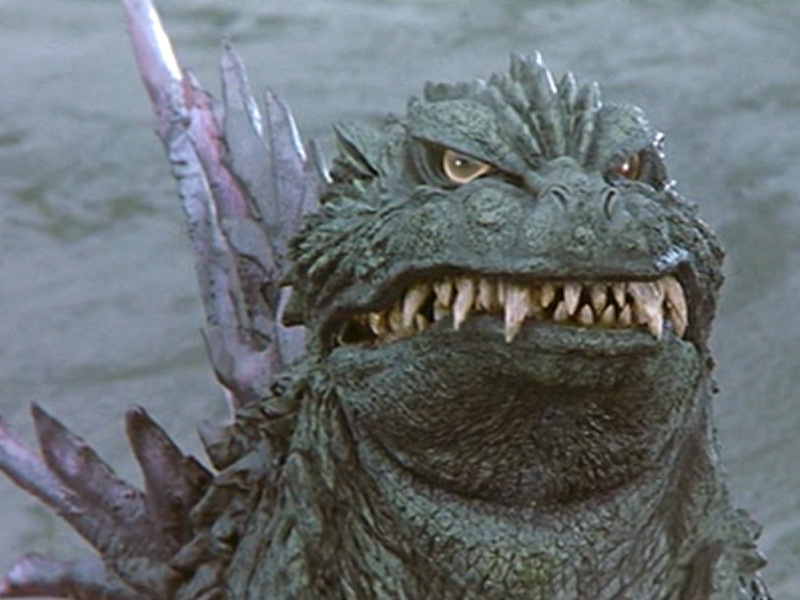 Description: Gabara was a merciless Ogre who bullied poor little Minilla whenever he got the chance. 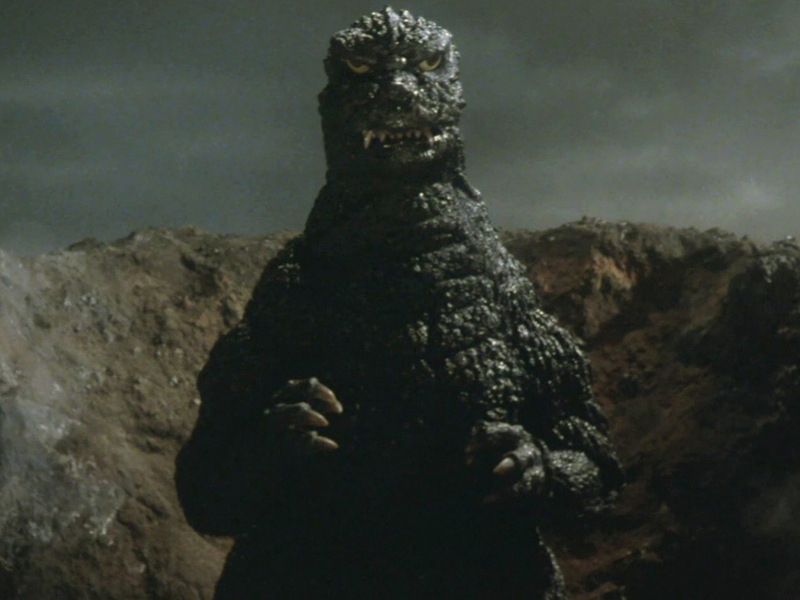 Godzilla gave Minilla some fighting tips, and the youngster managed to defend himself and drove Gabara away on his own. 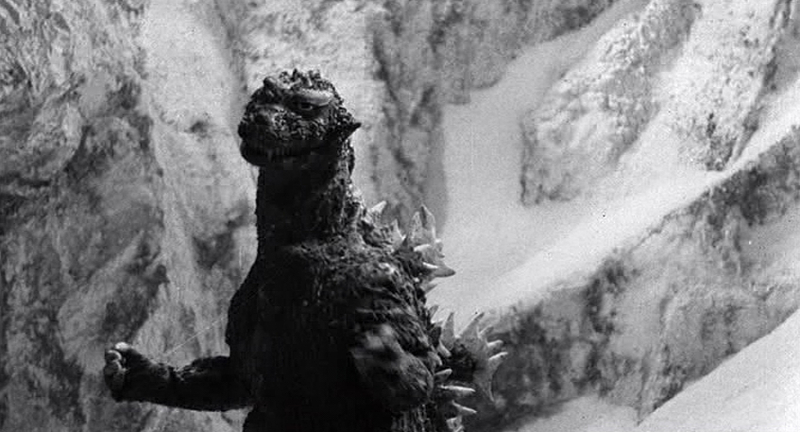 Vengeful and furious over his defeat, the Ogre returned to settle the score, so Godzilla beat him silly. Just another day on Monster Island. Description: An alien life form named Hedorah grew enormous feeding on the Earth's pollution. 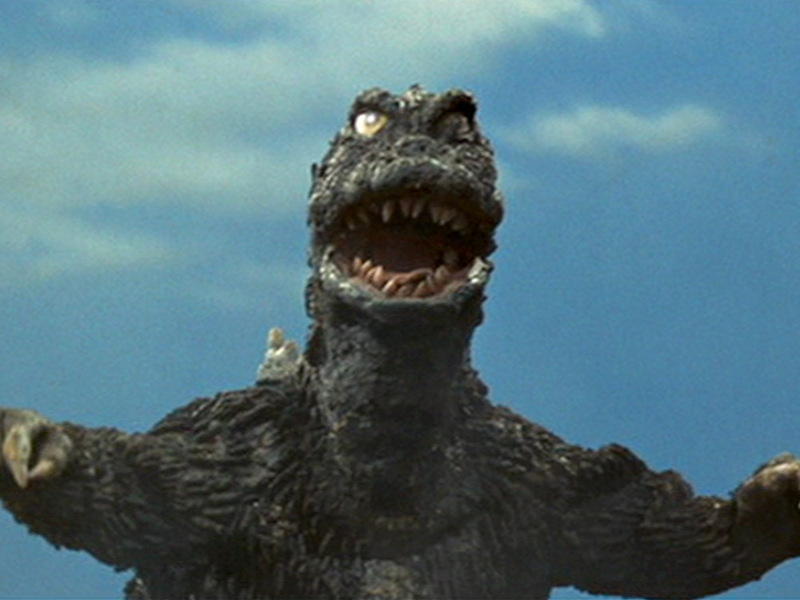 As Hedorah ravaged Japan, Godzilla rose from the sea to defend his homeland. 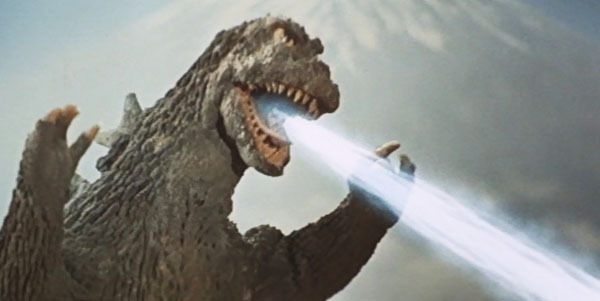 Demonstrating intelligence and a willingness to work with humans to destroy a common enemy, not to mention an impressively powerful atomic ray, Godzilla is once again victorious. 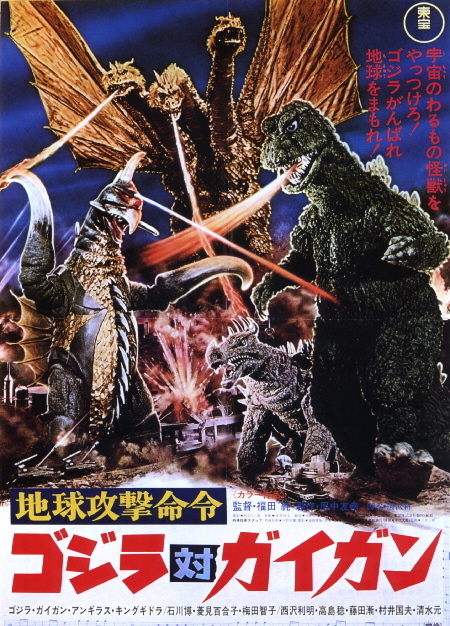 Description: Nebula-M Space Hunter aliens plot to conquer the Earth with the assistance of the cyborg monster Gigan and the relentless Hydra, King Ghidorah, but their carefully-laid plans are foiled by the King of the Monsters and his comrade-in-arms Anguirus. 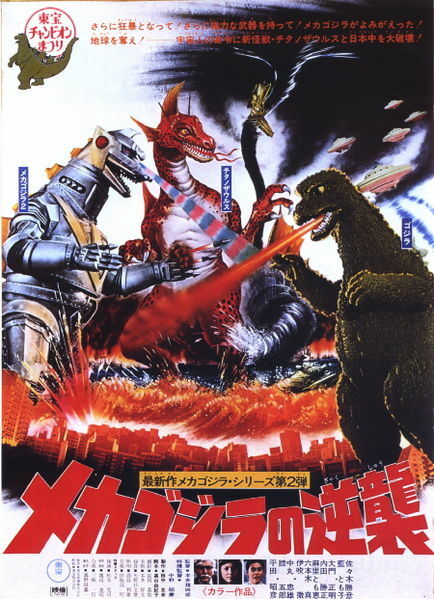 Description: The Seatopians send their demigod Megalon to destroy humanity, and the Nebula-M Space Hunter aliens assist their allies with the ruthless cyborg Gigan. 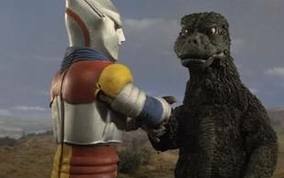 The evil duo are stopped by Godzilla and the robot Jet Jaguar after a brutal battle, and are forced to retreat into space. 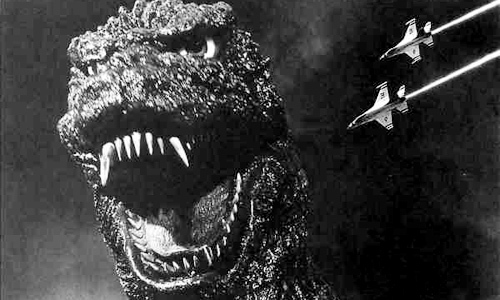 Description: Sent by the ape-like Black Hole Aliens, Mechagodzilla was attacking Japan disguised as Godzilla, but Anguirus was not fooled. The brave monster attacked Mechagodzilla alone and the wicked robot broke his jaw, forcing him to flee, but not before the Godzilla disguise was ruined. Now revealed to all, the robot fought the team of Godzilla and King Caesar until it was finally defeated by Godzilla's new mutation, the ability to absorb electricity and discharge it to become an electromagnet. 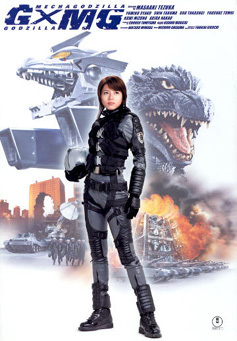 Description: The Black Hole Aliens try again, rebuilding Mechagodzilla and this time sending Titanosaurus to assist it. 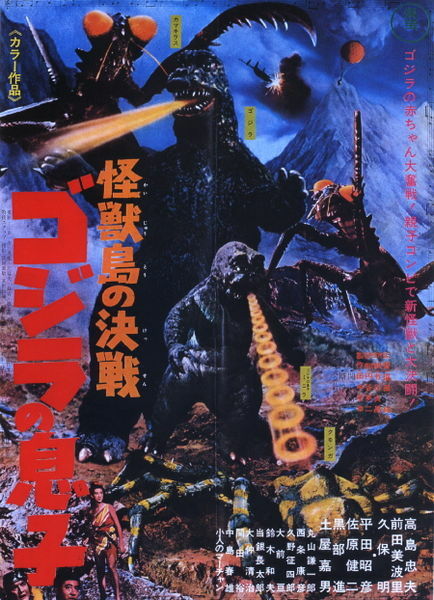 Godzilla is able to stop them both with the help of humans and their supersonic wave oscillator, which incapacitated Titanosaurus until Godzilla could defeat Mechagodzilla. 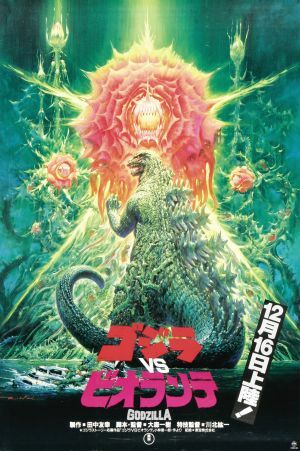 Description: In 1984 Godzilla rose again, and this time he wasn't very nice. 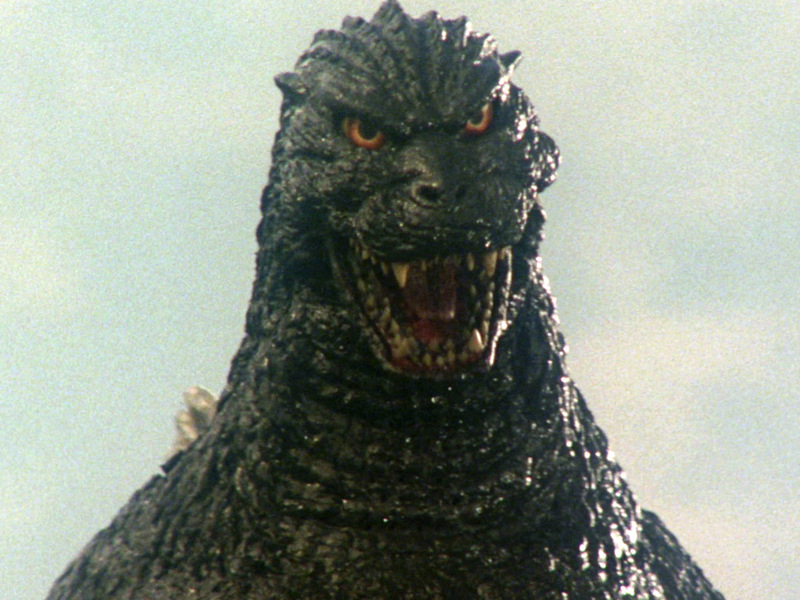 Like the original monster 30 years before, he had no fondness for humans, and attacked Tokyo immediately. 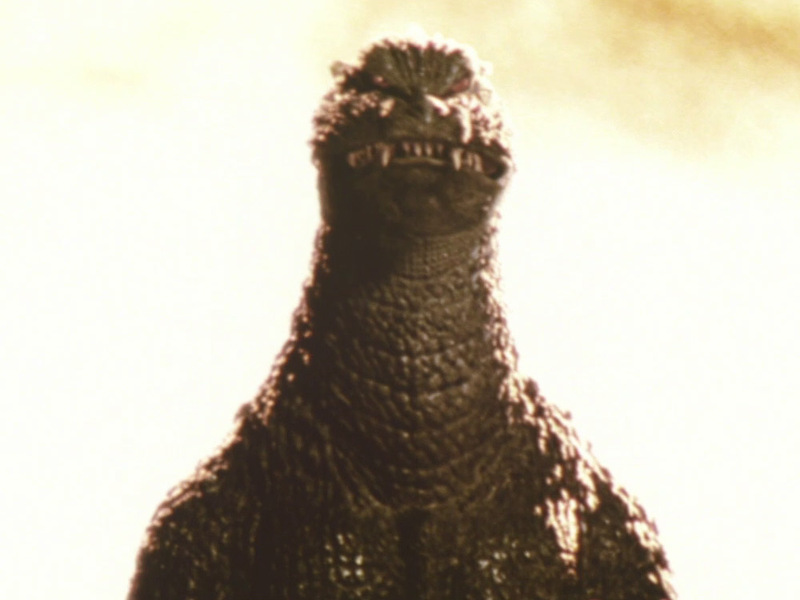 This Godzilla was much larger than any before him, and caused an incredible amount of damage to the city in a frightfully short period of time. 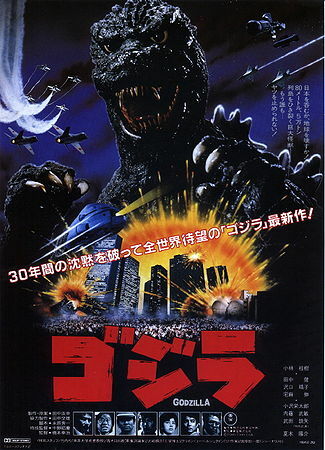 The Japanese tried to defend their metropolis with the Super X, but Godzilla knocked a skyscraper over on it and that was the end of that. 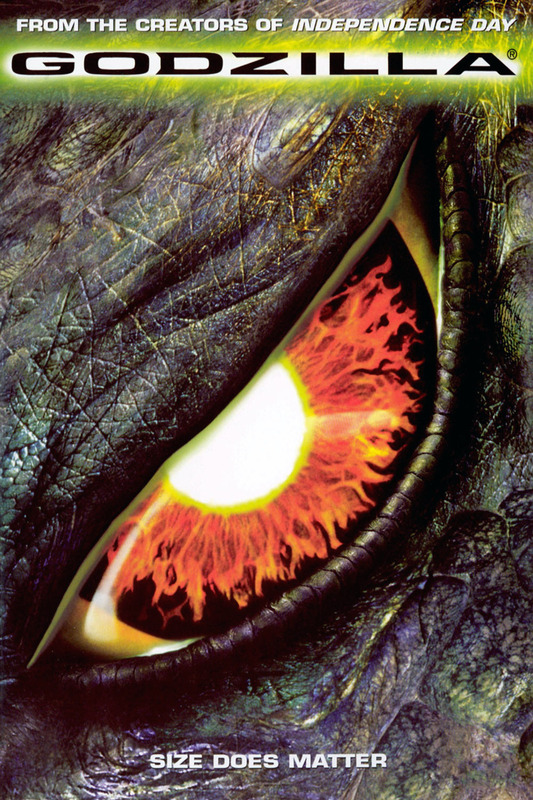 He was eventually lured to a volcano with avian frequencies and buried alive in it with a controlled eruption. 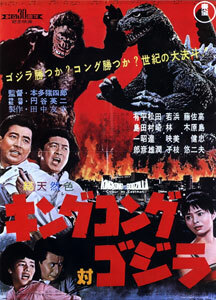 Description: To defeat Godzilla, Japan turns to bioengineering; the chimera Biollante was the end result. 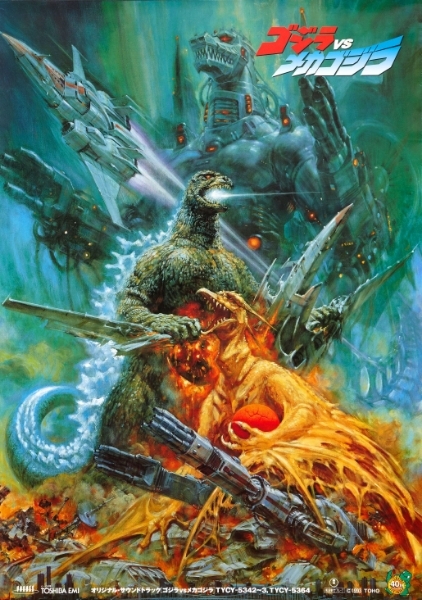 Godzilla attacked Tokyo once again, destroying the city's new defender, Super-X2, and then engaging Biollante in a brutal battle, resulting in Biollante retreating into space and Godzilla returning to the depths. 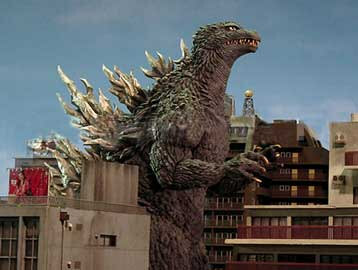 Description: Over the years, Godzilla continues to absorb nuclear energy and grow; this monster is twice as large as the original! Still hostile to humanity, nevertheless he is the only hope for Earth against the Futurians, evil aliens intent on conquering the planet with the help of King Ghidorah. 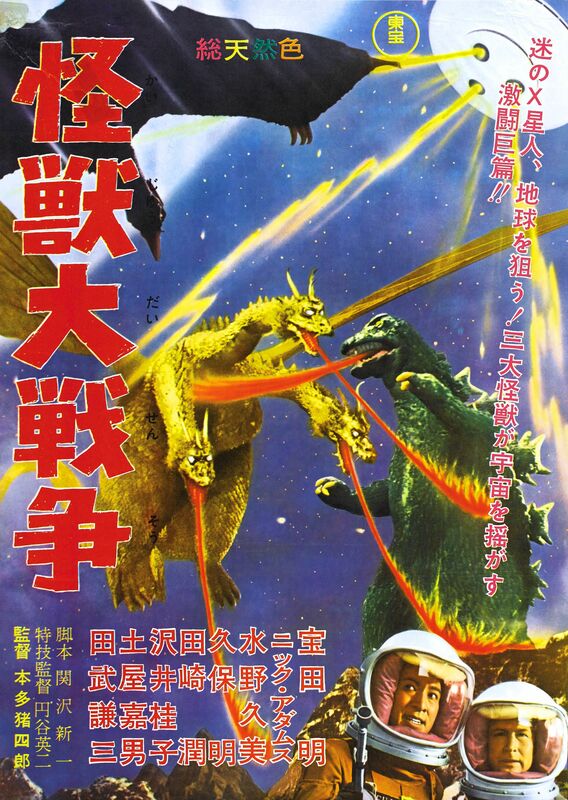 Godzilla fights the Space Hydra and wins, blowing off the monster's middle head with his atomic ray. 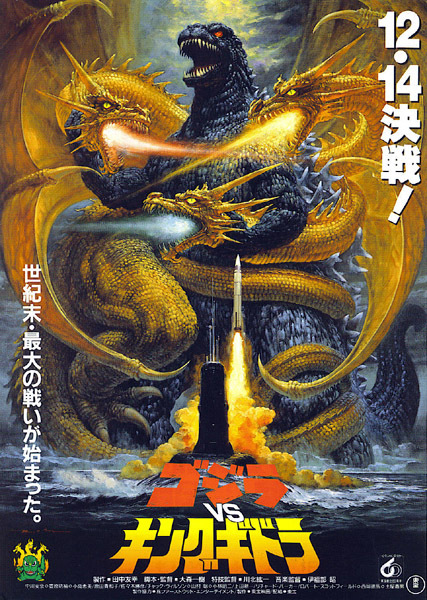 The alien menace is reborn as the cyborg Mecha-King Ghidorah, now a defender of mankind, to stop the King of the Monsters from destroying Japan. Finally submitting the nuclear dinosaur, the cyborg drags the beast down to the bottom of the sea. 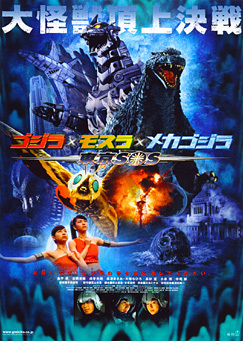 Description: Godzilla attacks a larval Mothra and her ancient foe, larval Battra. Later, the two giant insectoids gain their winged imago forms and fight, but when Godzilla returns, they join forces to defeat the leviathan. 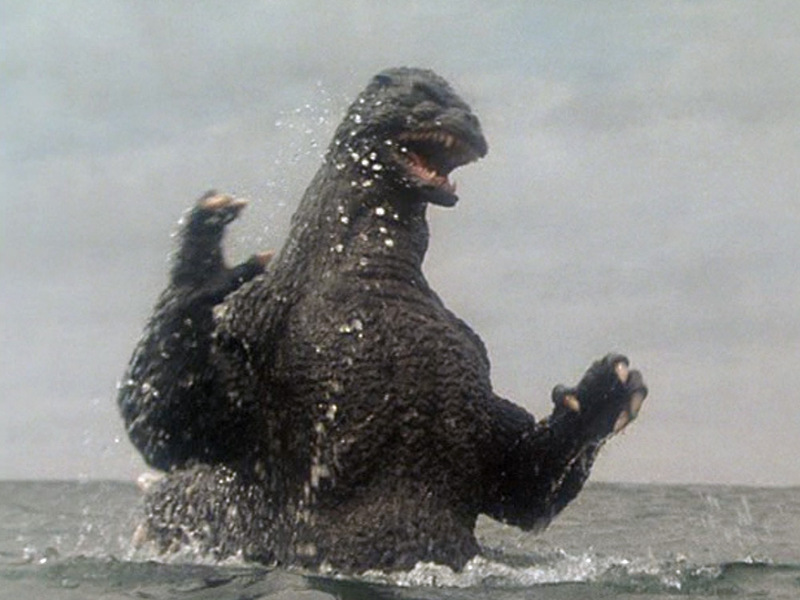 The King of the Monsters retreats to the ocean depths under their furious onslaught, but not before taking his due. 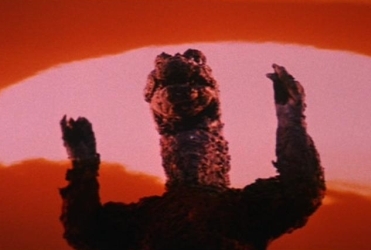 Description: Godzilla hears the call of Baby Godzilla from within his egg and responds, as does Rodan. Godzilla and Rodan fight over the egg, with Godzilla winning via atomic ray. 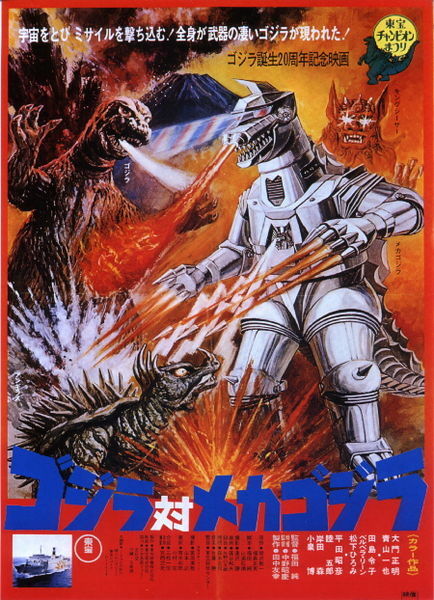 Later, Godzilla is attacked by the Garuda Super Jet and Mechagodzilla III while trying to free the baby. A rejuvenated Fire Rodan comes to help his fellow monsters, but is killed by Super Mechagodzilla; before his death, the flying monster imparts his life energy into Godzilla, further empowering him. 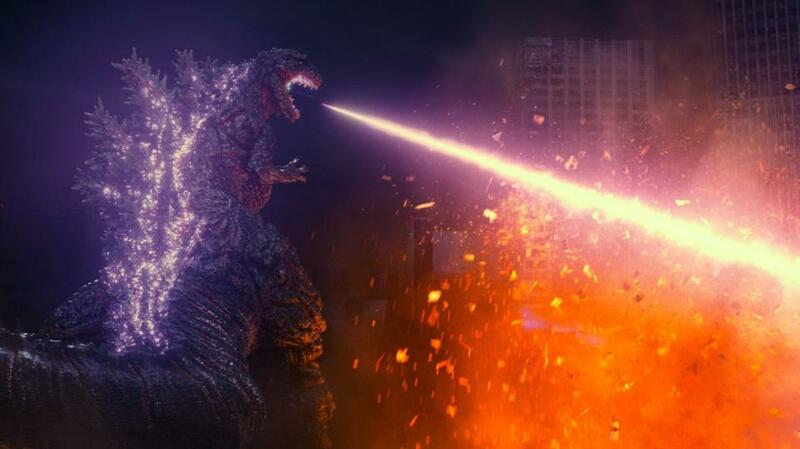 Godzilla is able to defeat the cyborg with his new red spiral fire ray, and goes back into the ocean with his son. 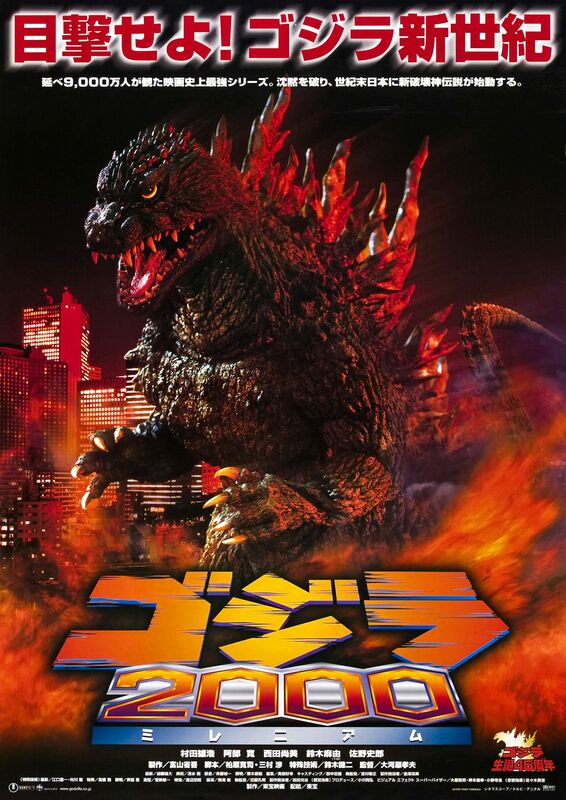 Description: SpaceGodzilla takes malicious glee in attacking Japan and imprisons Godzilla Junior; the King of the Monsters and the G-Force's mighty mecha Moguera join forces and manage to repulse the alien invader! 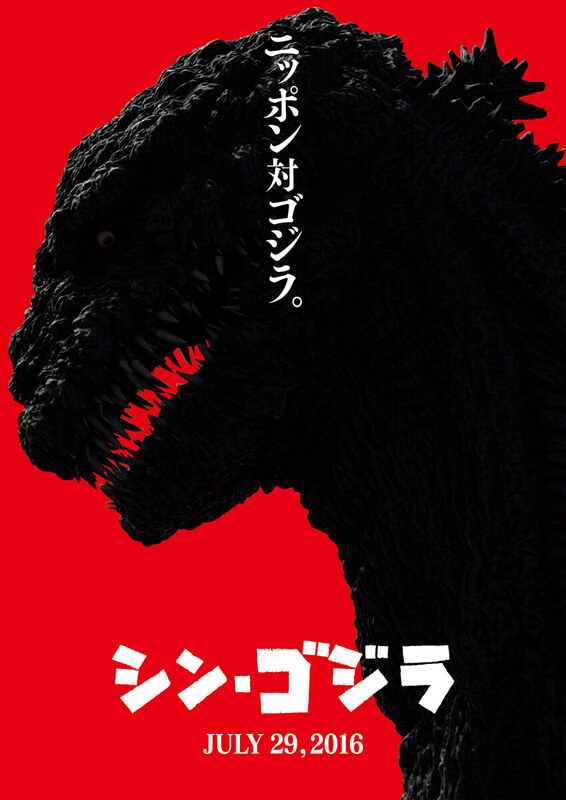 Description: After years of being horribly injured by the cruel weapons of humanity and the relentless attacks of other giant monsters, Godzilla's body can take no more, and finally starts to go into meltdown. 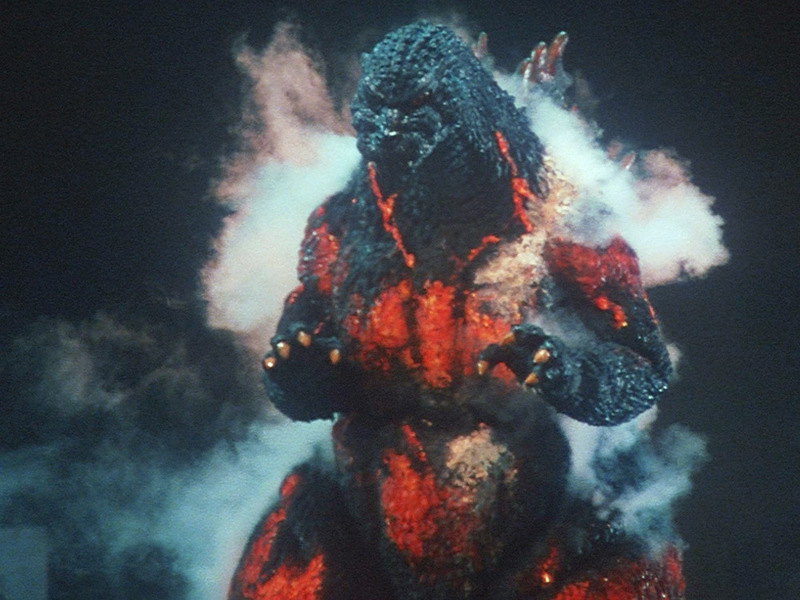 In addition, Destoroyah, a monster mutated from the oxygen destroyer weapon that defeated the original Godzilla, is attacking Japan, and murders Godzilla Junior. 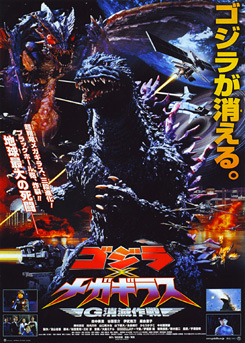 With the help of the Super-X3, Godzilla wreaks vengeance upon Destoroyah. 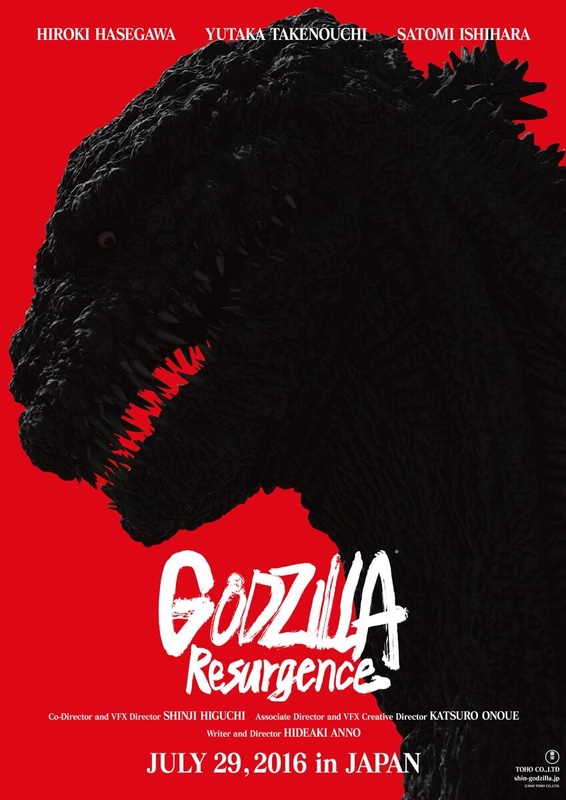 His last act before meltdown is to impart his remaining life energy into his son, resurrecting him to take on the crown as Godzilla, King of the Monsters. Description: Tentacled aliens called Millennians seek Godzilla's DNA to absorb, and get more than they bargained for, mutating into Orga! 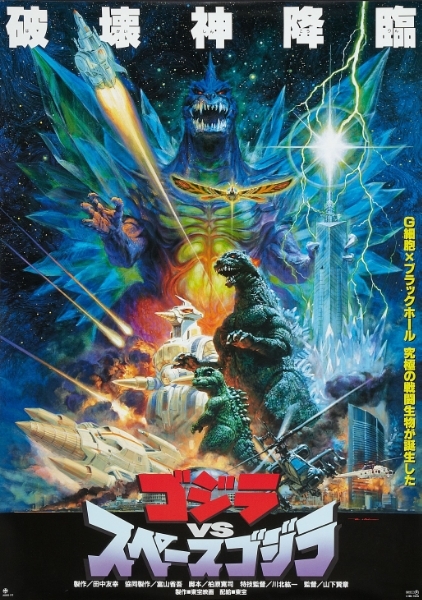 Godzilla takes on the Earth Defense Forces, the Millennian UFO, and Orga, and defeats them all, proving himself worthy as the next inheritor of the title of the King of the Monsters! 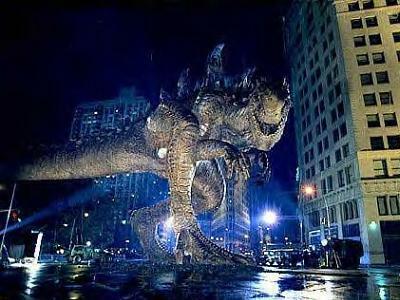 Description: Godzilla meets Megaguirus, the queen of the Meganulons, while searching for some nuclear energy to consume. She attacks him to drain him of his own considerable energy, and long story short he fed her his atomic ray instead. 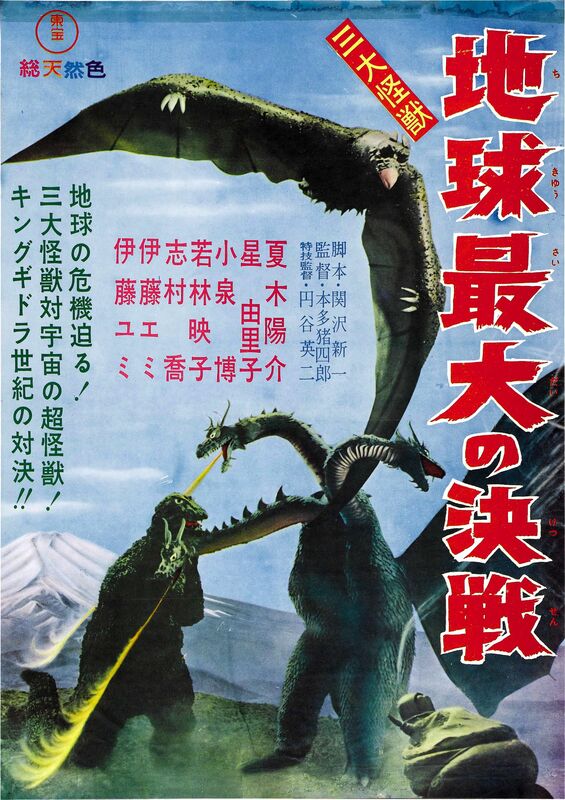 Description: In order to stop this revenant Godzilla rampage, three guardian kaiju arise to defend Japan; brave Baragon, graceful Mothra, and the mighty Hydra Ghidorah, on the side of humanity! Why, Ghidorah, why? Anyway, Godzilla is finally defeated after battling all three giant monsters, but his heart still beats on, and he will return. 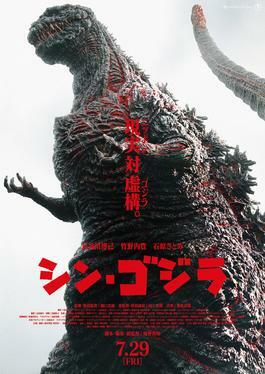 Description: Godzilla fights the newest cyborg of G-Force, the Kiryu, a monster mecha that incorporates the very bones of the first Godzilla that attacked Japan in 1954 as a framework! 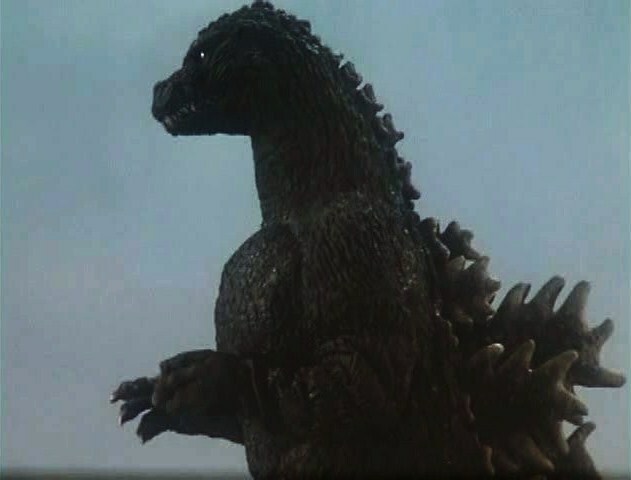 The King of the Monsters is driven from Tokyo (Japan) by the colossal machine, returning to the sea after being shot with the absolute zero cannon mounted in the cyborg's chest. Description: Kamoebas is found dead on the beach, bested by Godzilla in an oceanic squabble; Mothra and Kiryu attack Godzilla afterwards. The atomic dinosaur manages to defeat Mothra, but her two larvae help to bind The King with their silken web spray, and the cyborg takes the nuclear beast with him deep into an ocean tomb. Description: A now large-as-ever Godzilla is rudely awakened while hibernating in a glacier by Gigan fighting the battleship Gotengo. 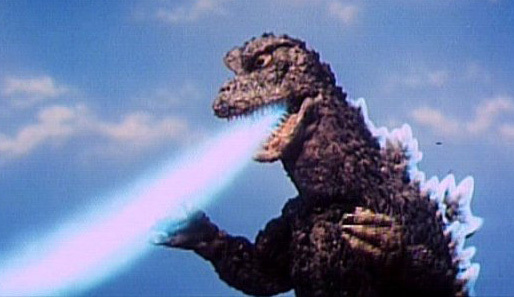 Godzilla makes Gigan blow his top and is baited by the Gotengo back to Japan. 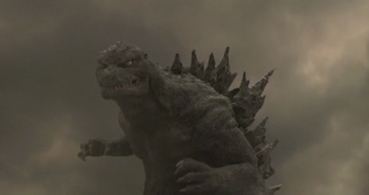 On the way, he defeats other kaiju under Xilian control; Zilla in Australia, Kumonga in New Guinea, and Kamacuras in Japan. 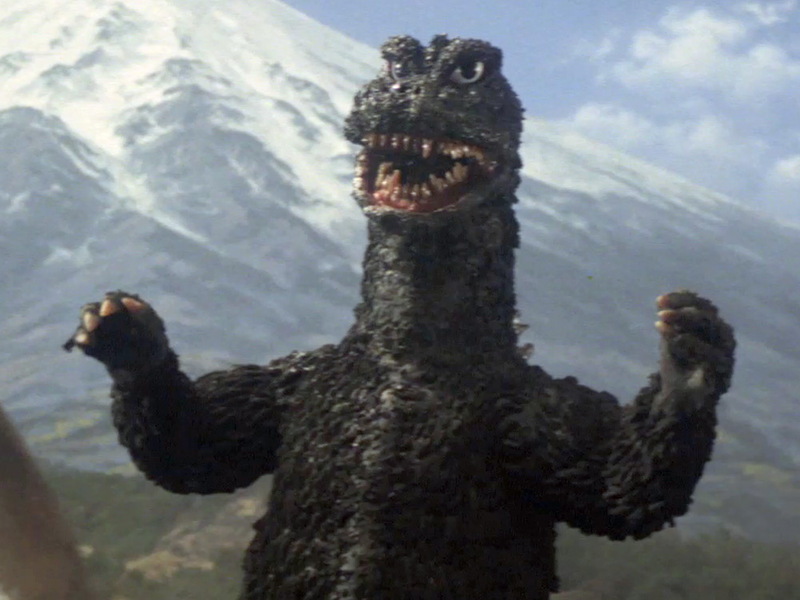 At Mount Fuji he beats Anguirus, King Caesar, and Rodan. 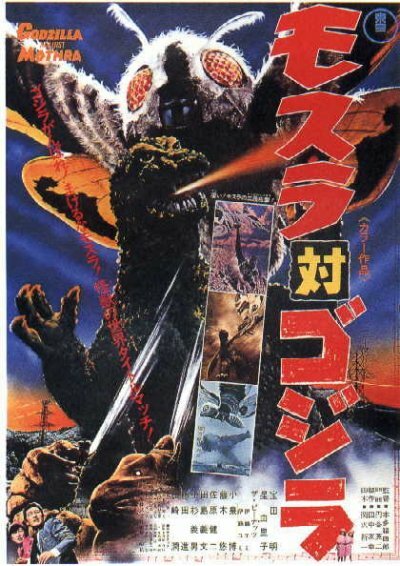 Finally arriving in Tokyo, he quickly dismissed Ebirah and Hedorah, before being confronted by a repaired Gigan and the mysterious Monster X. Mothra arrives just in time to help; she is defeated by Gigan, but takes him out in return. 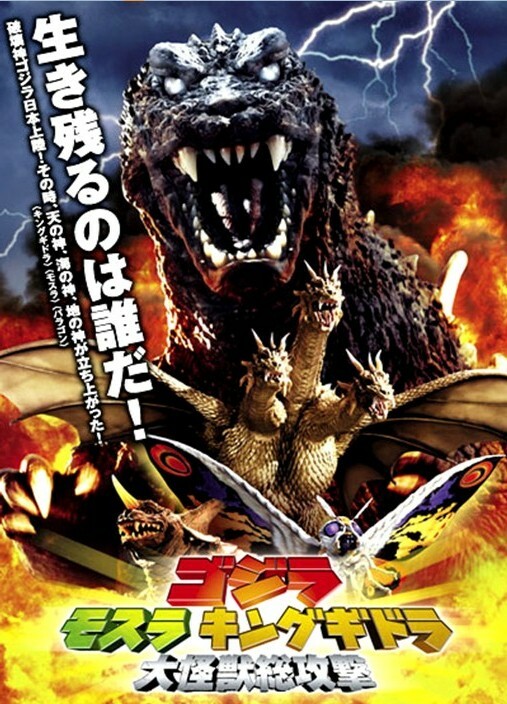 Godzilla conquers Monster X, who reveals his true form to be Keizer Ghidorah. 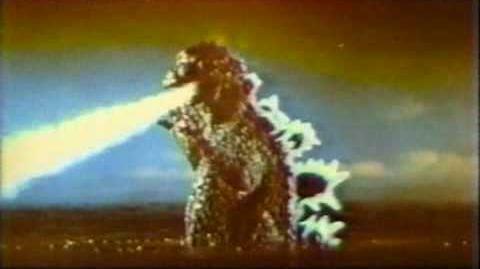 Almost beaten by the three-headed Hydra, Godzilla is super charged by the Gotengo, and he triumphs with his spiral fire ray! 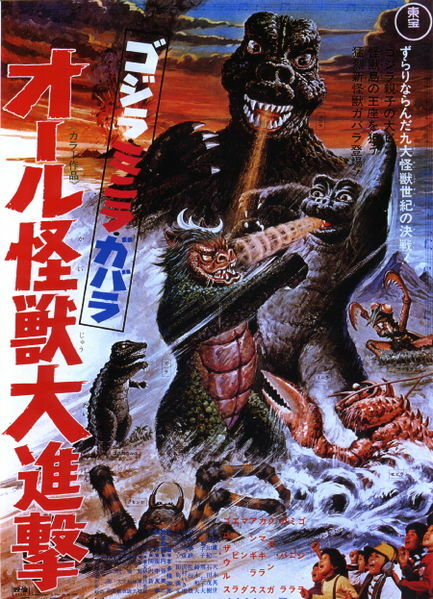 Victorious, Godzilla and Minilla return to the ocean. Description: Godzilla sometimes has an issue with a small business, in this case the Suzuki Auto Shop. When this does occur, rather than call the business to register a complaint, it's the policy of the King of the Monsters to visit the establishment personally and stomp it into the dirt. Sorry, he can't change the policy! 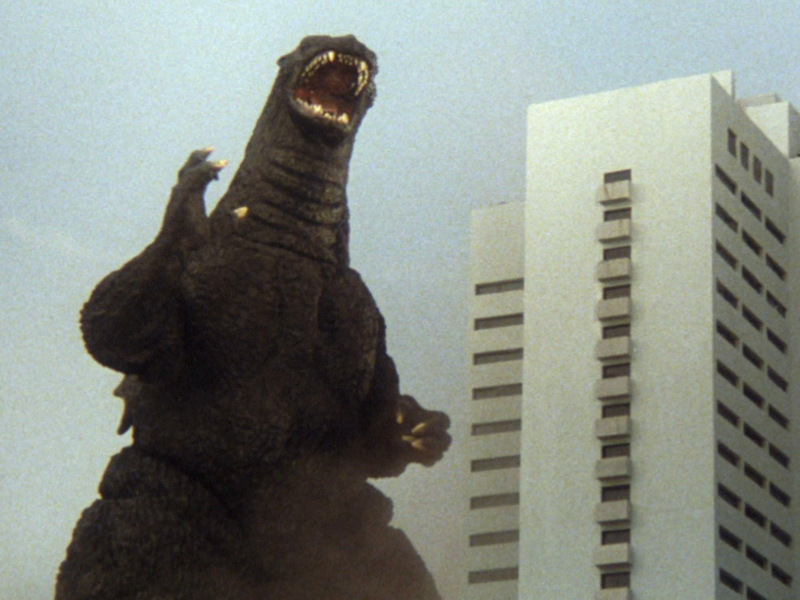 Fun fact: Most insurance plans don't cover a Godzilla stomping. 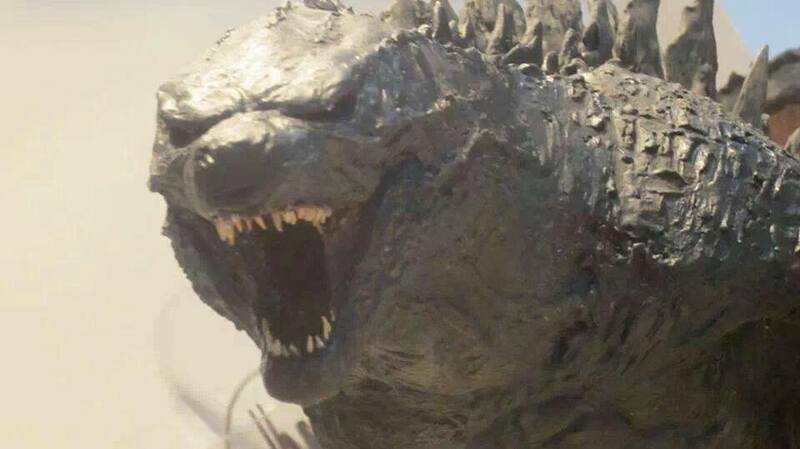 Description: Prehistoric monsters dubbed "MUTOs" were awakened by increasing radiation levels and commenced to rampaging until a mightier-than-ever Godzilla rose from the depths and kicked all sorts of tail. After the job was done, the all-forgiving King of the Monsters unfathomably spared humanity, returning once again to the depths. Description: It appears that the oceans around Japan are littered with thousands of tons of radioactive waste, and every once in a while something decides to eat it. 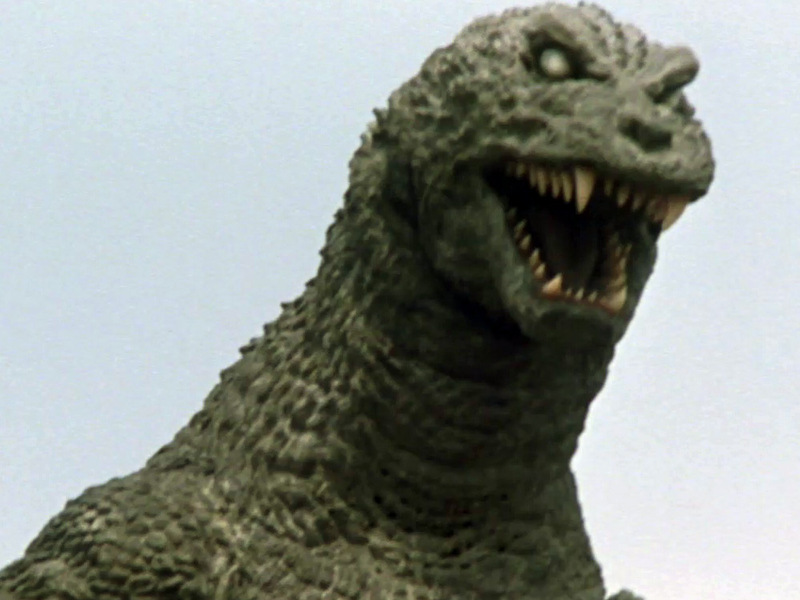 And we can all thank our lucky stars for that, because sometimes we get another Godzilla! This juvenile crawled out of the sea, wide-eyed and full of wonder, to a rather cold reception. 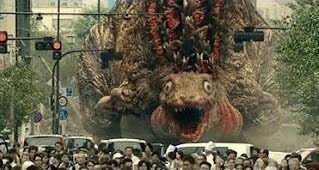 Description: After some time, Protogodzilla mutated into the more familiar Metagodzilla form; this involved frighteningly fast and substantial growth, evolution of a small pair of arms, and the ability to stand erect on a much stouter pair of legs. 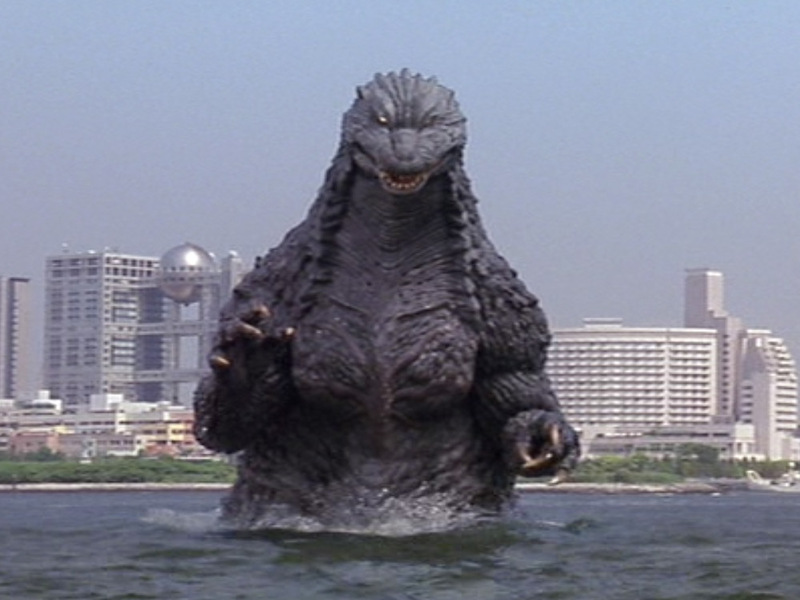 Description: After spending some time back in the ocean, Godzilla rises, now prepared to face humanity. 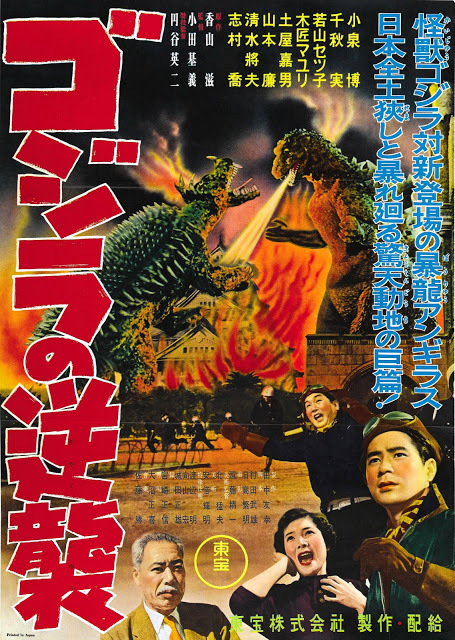 The Japanese launch an assault, forcing the King of the Monsters to engage them with his atomic ray, which he can now project from his spines and tail as needed with the help of an instinctual radar. After expending a lot of energy destroying waves of the best military hardware on the planet, the monster took a nap to recuperate; the humans took advantage of this, postponing further rampage with an ingenious plan. So now we wait.